The Woodpeckers destroyed my favorite crabapple tree. So I pruned it and turned it into a perch which all the birds love. 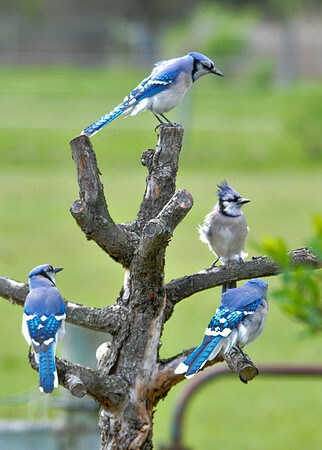 It is a popular Blue Jay hangout and a drying rack for lots of species after baths.